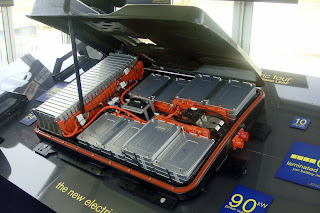 Scientists today answered a question that worries millions of owners and potential owners of electric and hybrid vehicles using lithium-ion batteries: how long before the battery pack dies, leaving a sticker-shock bill for a fresh pack or a car ready for the junk heap? Their answer, presented at the 245th National Meeting & Exposition of the American Chemical Society (ACS), may surprise skeptics. Cugnet also recommends that electric vehicle (EV) owners pay attention to how much their battery is charged, another factor in a battery’s longevity. He reported that a fully-charged battery is more vulnerable to losing power at temperatures above 86 F.